The news about Wife of Sikandar and Zamurd Khan is totally fake. They do not have any relation with each other. 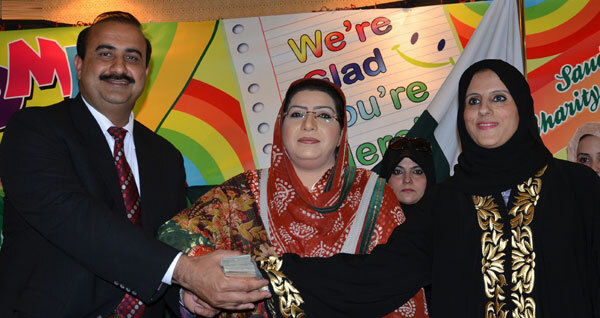 ISLAMABAD: Aljourah Abdullah A .Alarifi wife of Saudi ambassador in Pakistan giving donation cheque and money to Federal minister for information and broadcasting Firdous Ashiq Awan and Managing Director Pakistan Bait ul Maal Zamurd Khan during the Charity festival at Saudi embassy. click on link below for proof.